Hicham Tahiri is the founder and CEO of Smartly.ai. Hicham started as an embedded systems engineer and later became a voice user interface designer way back in 2006. Since then his career has focused on voice technology. He later founded what became Smartly in 2011 to help companies building robots and cars integrate speech recognition and interaction into their solutions. When Amazon Echo was launched along with the Alexa Skills Kit in 2015, Smartly began created Alexa skills and built one of the first third-party voice app design solutions. Smartly.ai is headquartered in Paris and its software is used by over a thousand developers worldwide. The solution is designed to enable voice app development without the need for technical expertise and as a toolset for skilled developers to build more efficiently. It also is designed to enable users to automatically publish voice apps on Amazon Alexa, Google Assistant, Microsoft Cortana and other voice assistants from a single app code base. 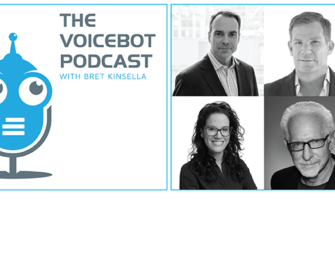 In this week’s interview, Hicham Tahiri talks about the state of voice technology, its evolution over the past decade, how brands are using voice today and the AI ecosystem in France. Hicham shares a lot of unique insight relevant to everyone in voice and some specific information about European voice assistant adoption you won’t find elsewhere. Enjoy.